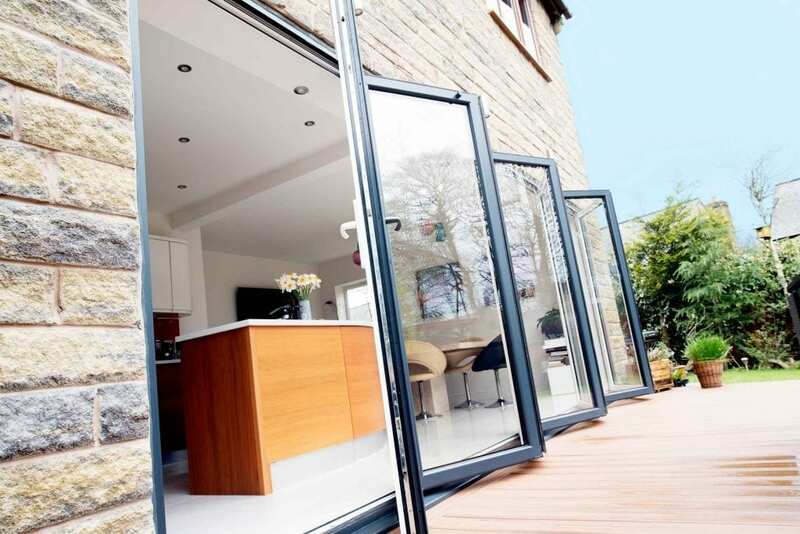 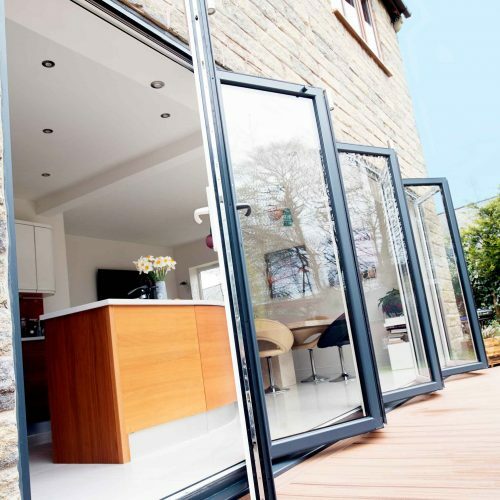 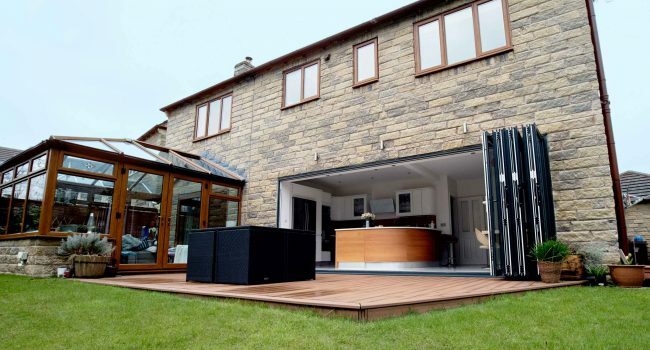 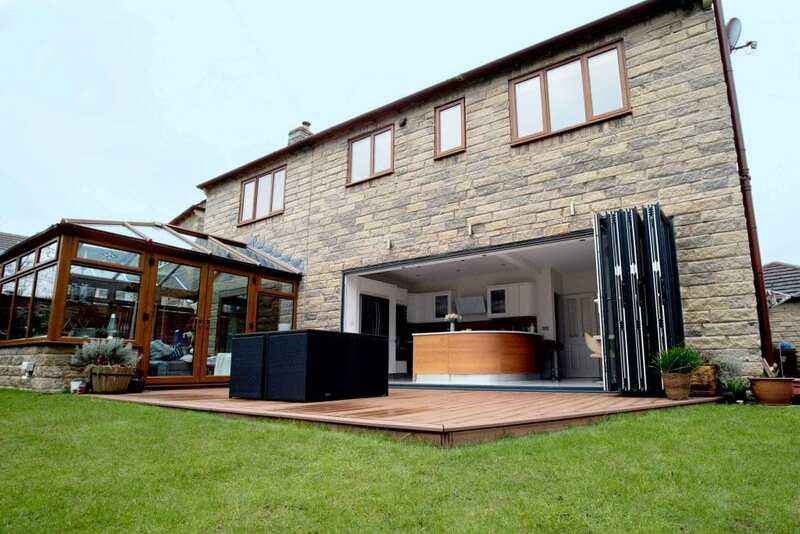 A stunning property situated in West Yorkshire, PVCu casement windows in Irish Oak were fitted by Quickslide in order to create a modern and light finish. 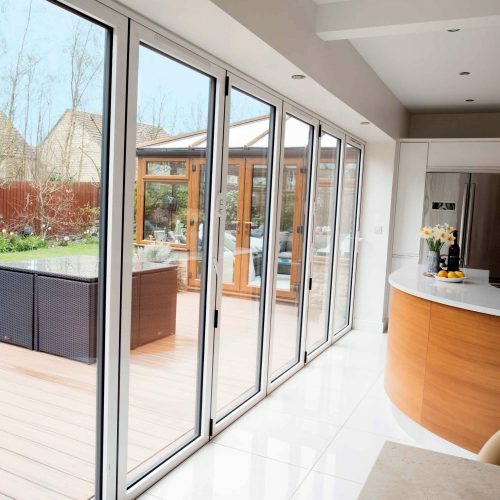 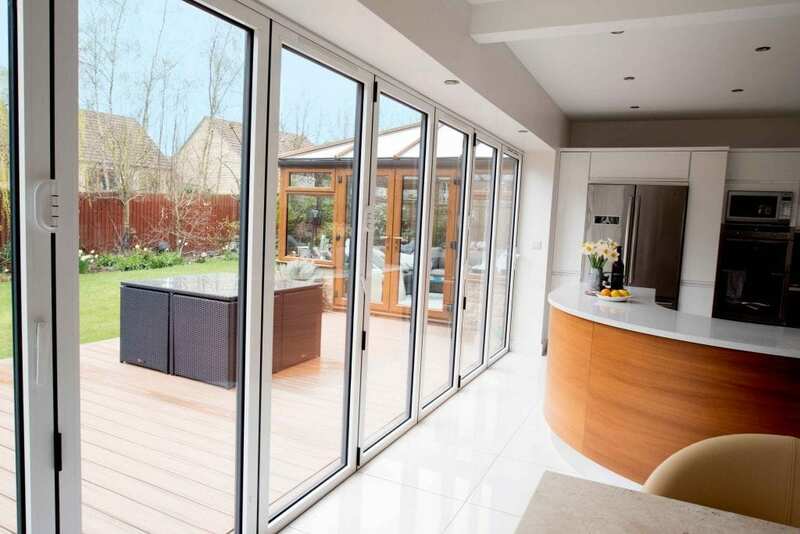 To complement them the customer also opted to include a 5-panel Aluminium bi folding door in a dual finish, anthracite grey externally and white internally. 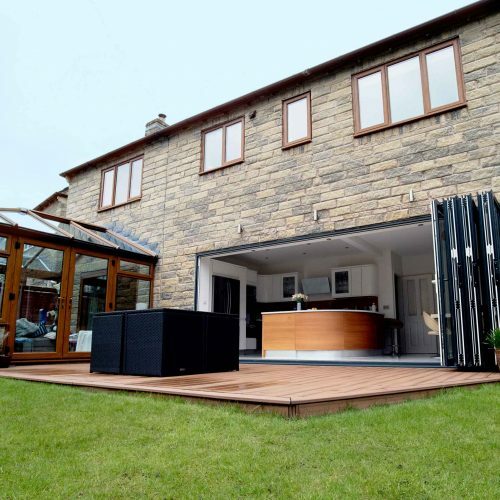 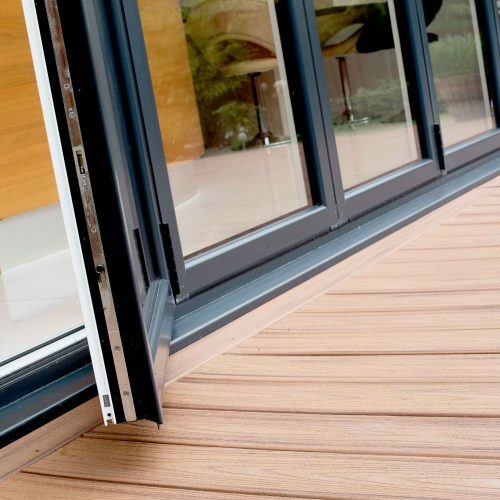 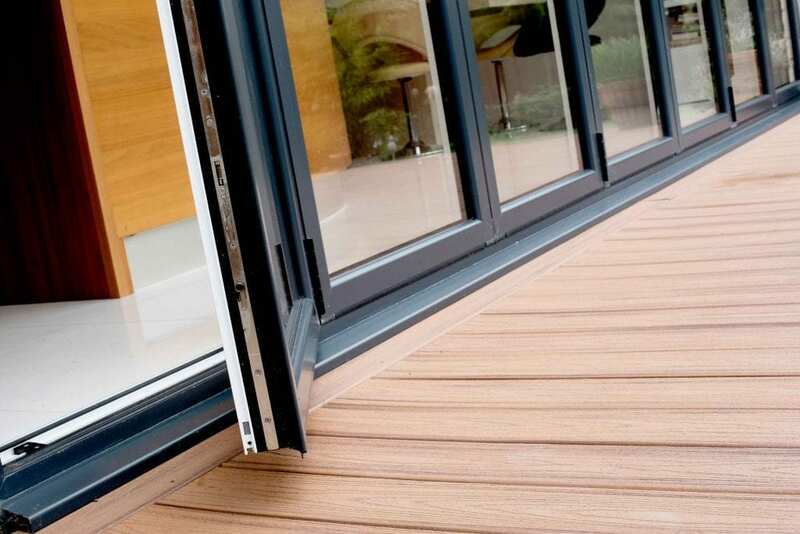 The external patio floors were built to align with the threshold of the bi fold to ensure of a seamless floor between the kitchen area and patio.